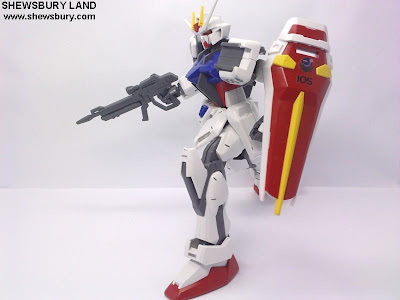 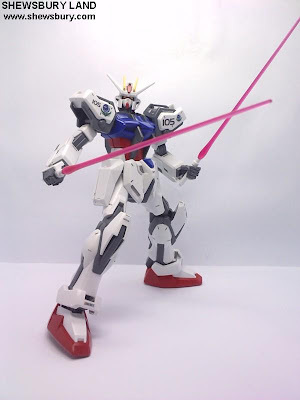 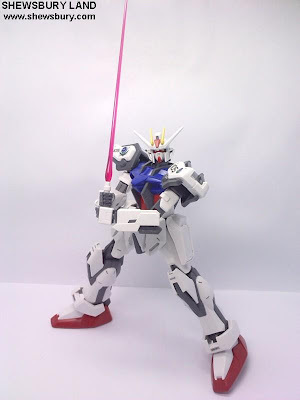 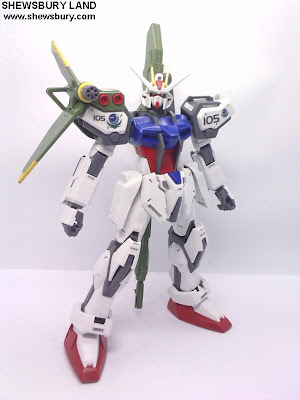 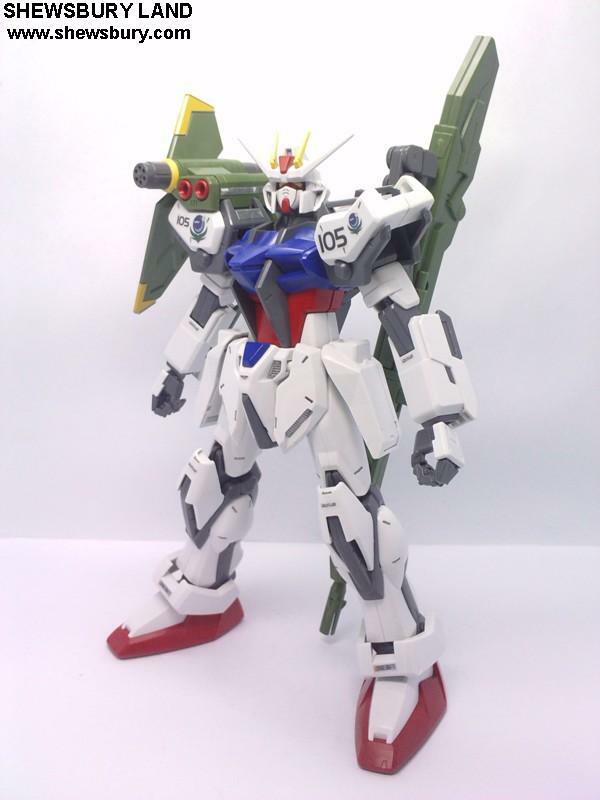 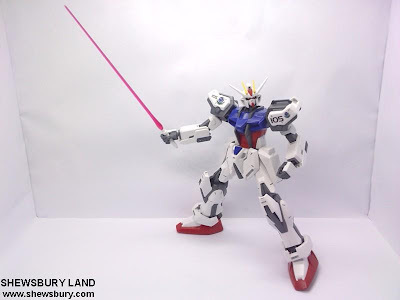 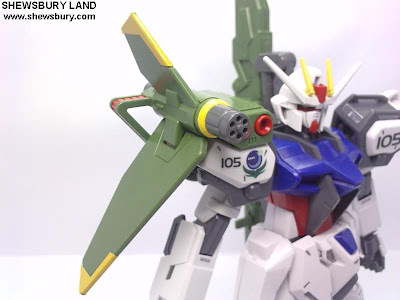 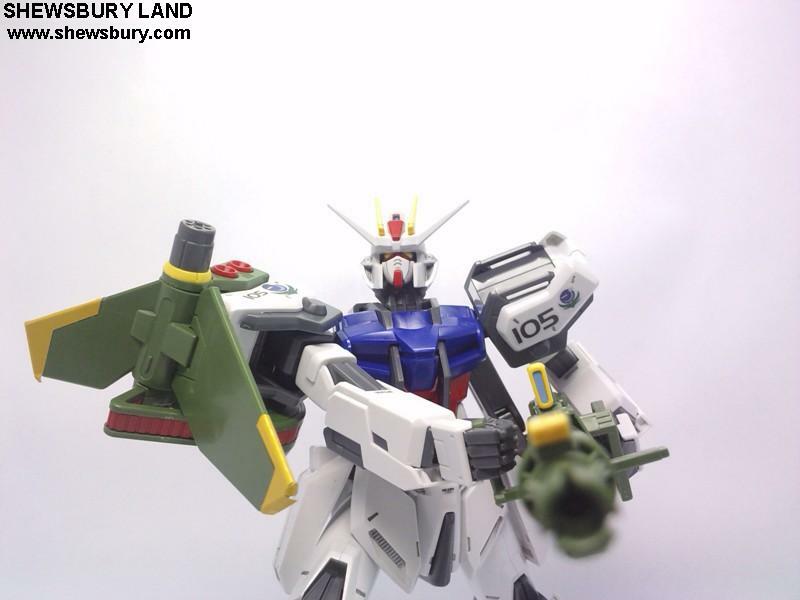 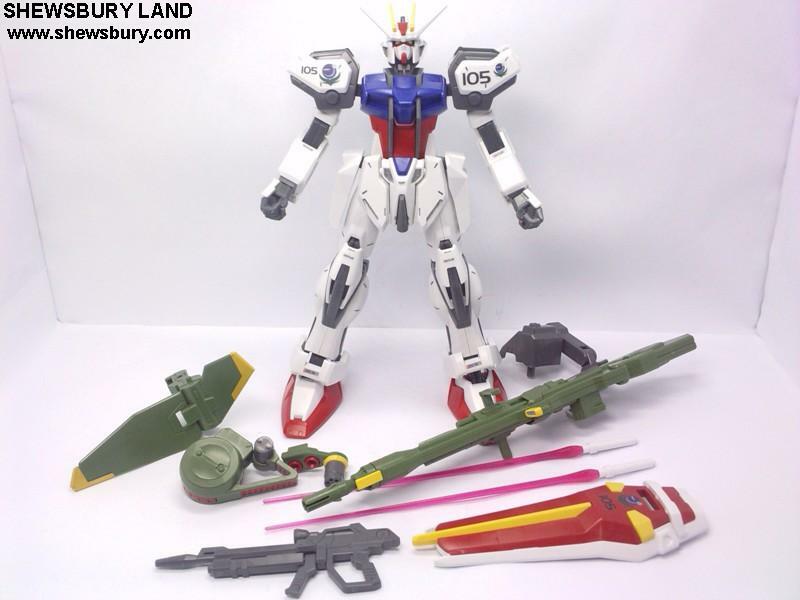 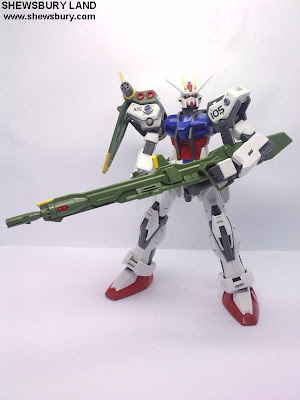 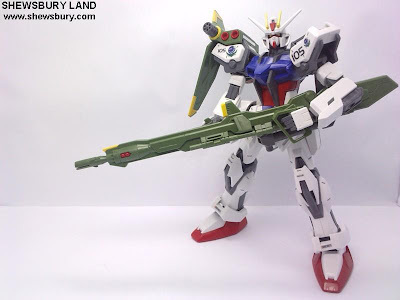 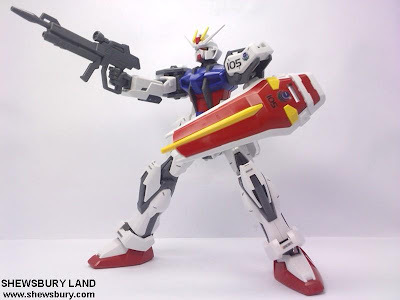 This is the 1/100 Launcher Strike Gundam, the first Striker Pack used by Kira Yamato in the anime of Gundam Seed but I personally feels that this is the less popular Striker Pack amongst the 3 (Aile, Sword, Laucher) which is why Bandai give "extra stuff" for this item. 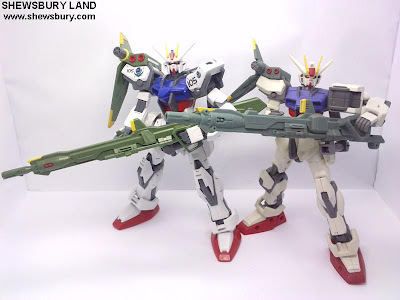 Articulation wise... still decent... this unit can still perform the kneeling pose..
Side by side with 1/100 MG Strike Gundam (on your left)... 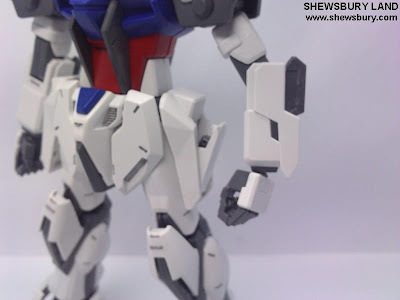 In this photo I tried to show the Armor Schneider contena on the hip of both grade... the 1/100 HG is a little bulky.. 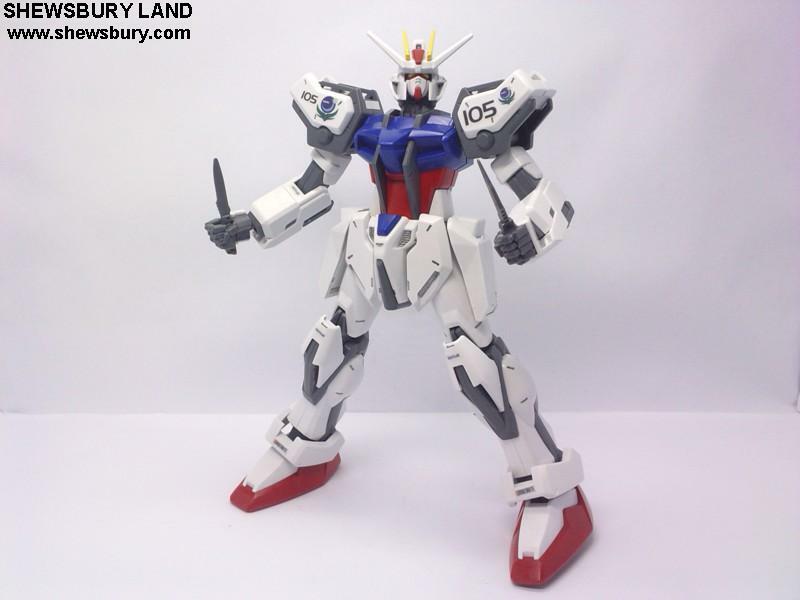 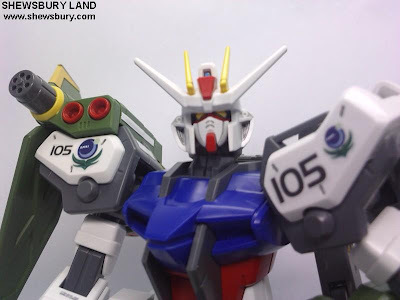 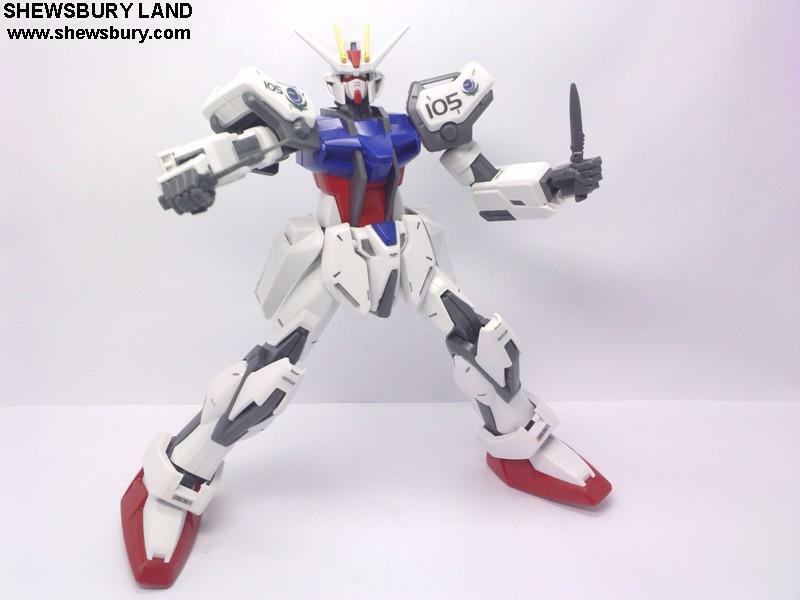 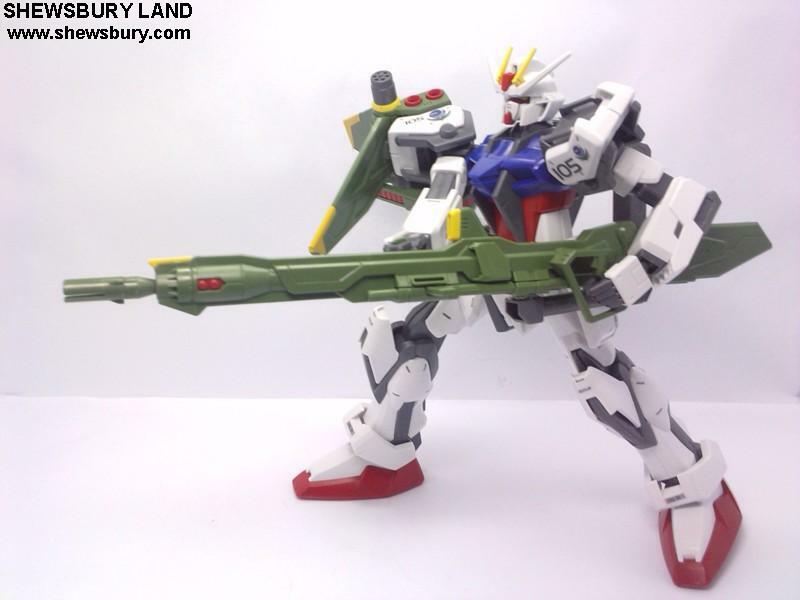 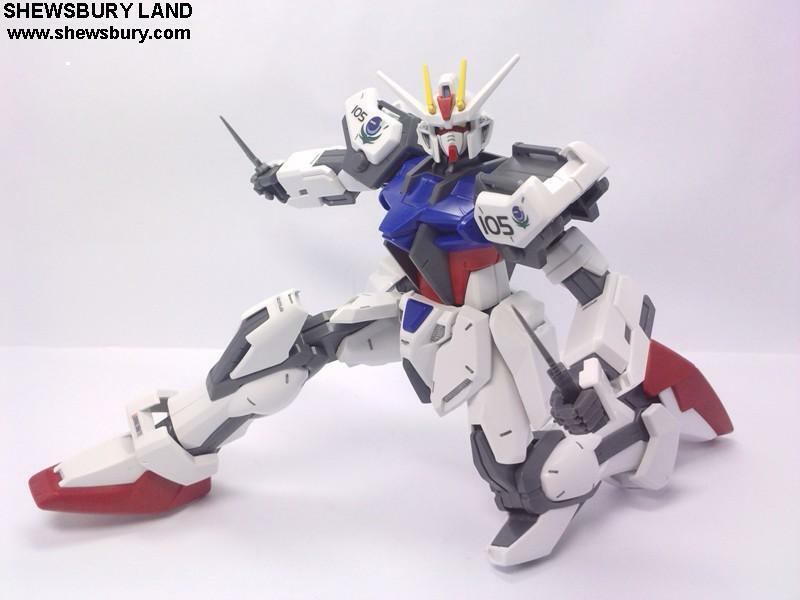 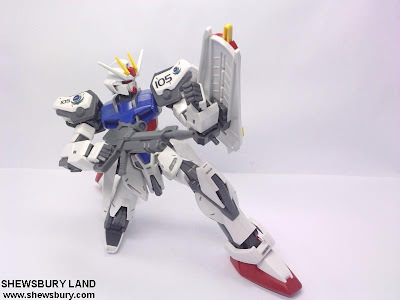 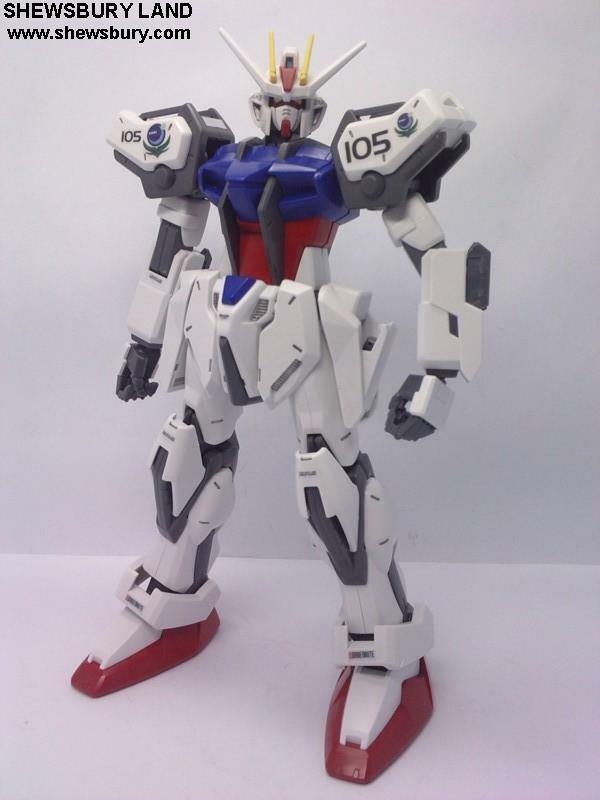 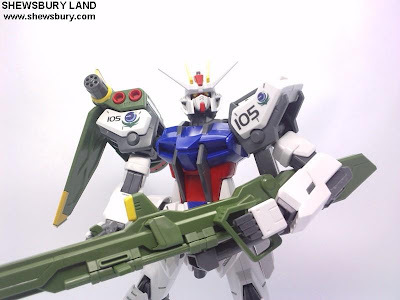 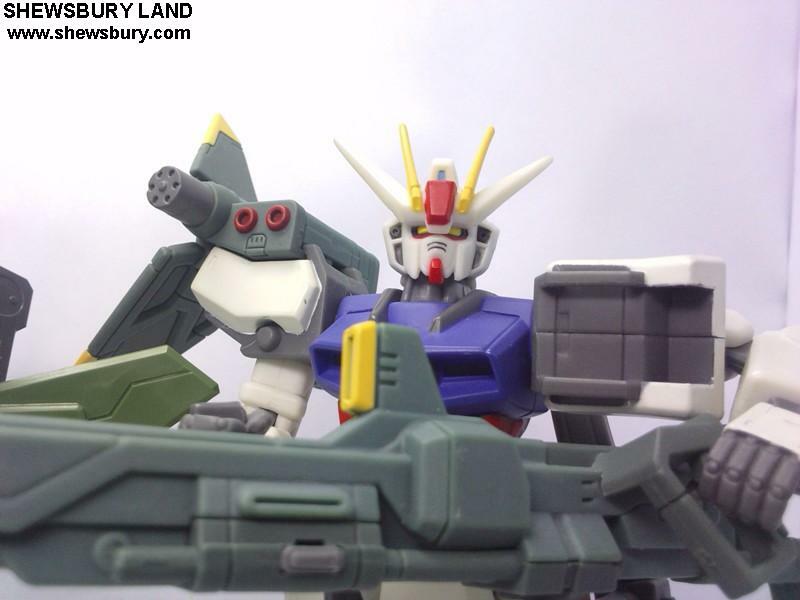 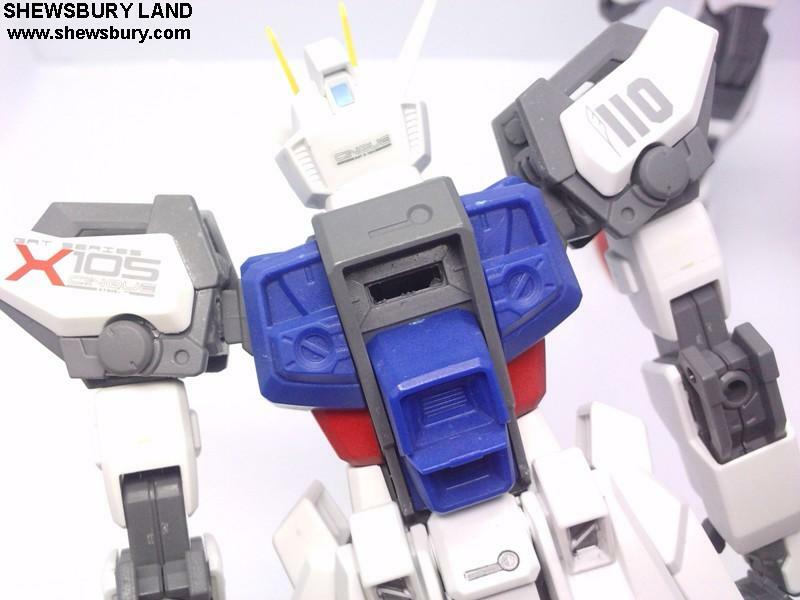 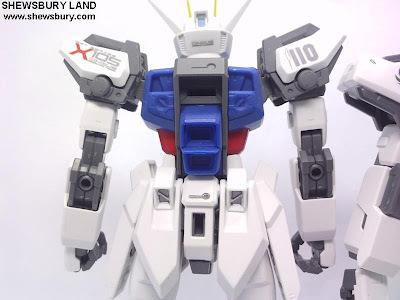 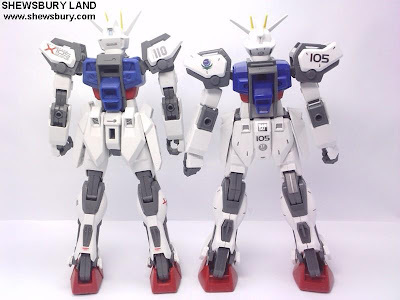 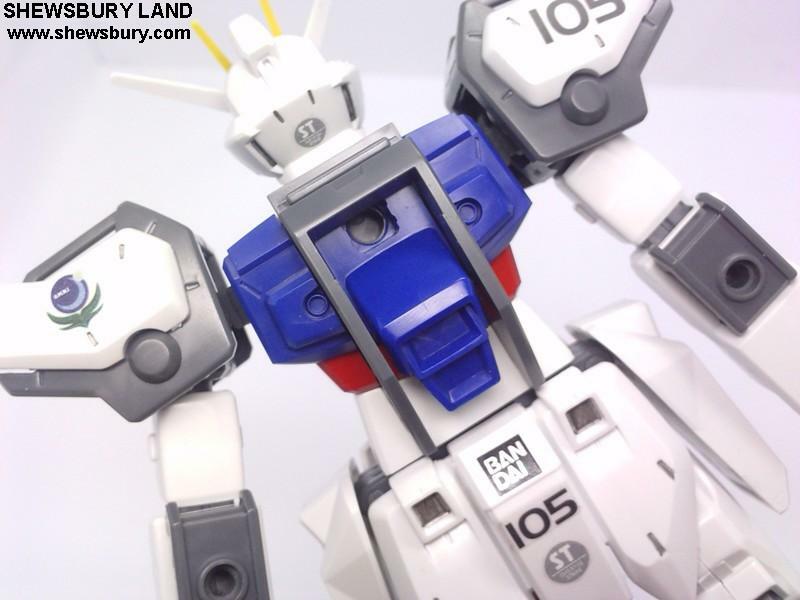 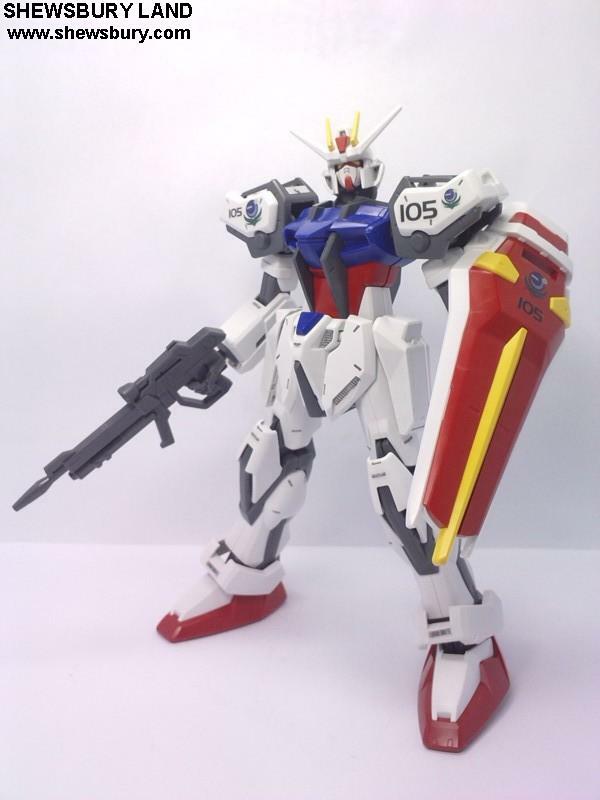 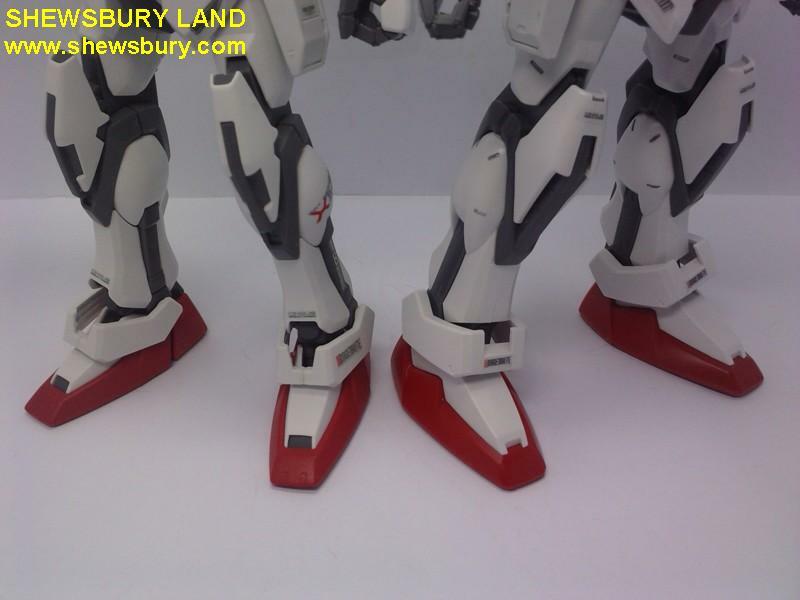 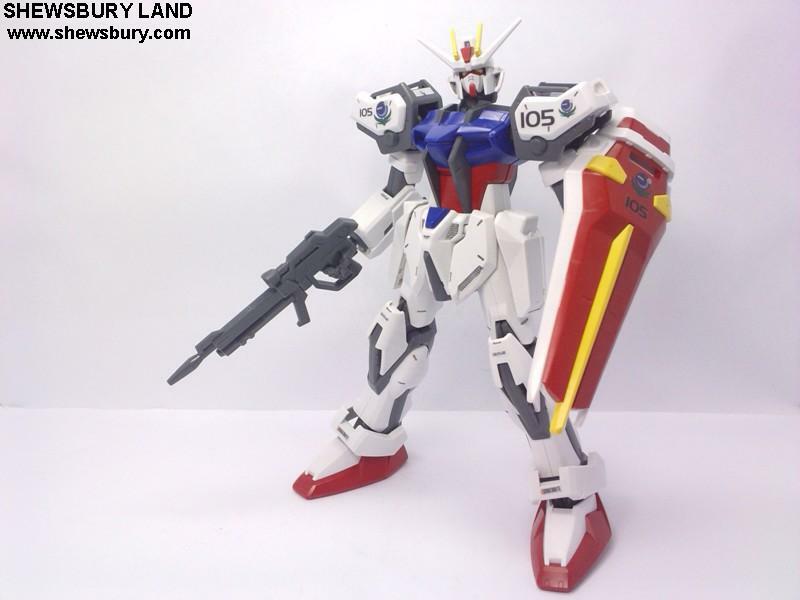 Overall the 1/100 HG design is quite bulky (or chubby) if you compare it with the 1/100 MG unit. 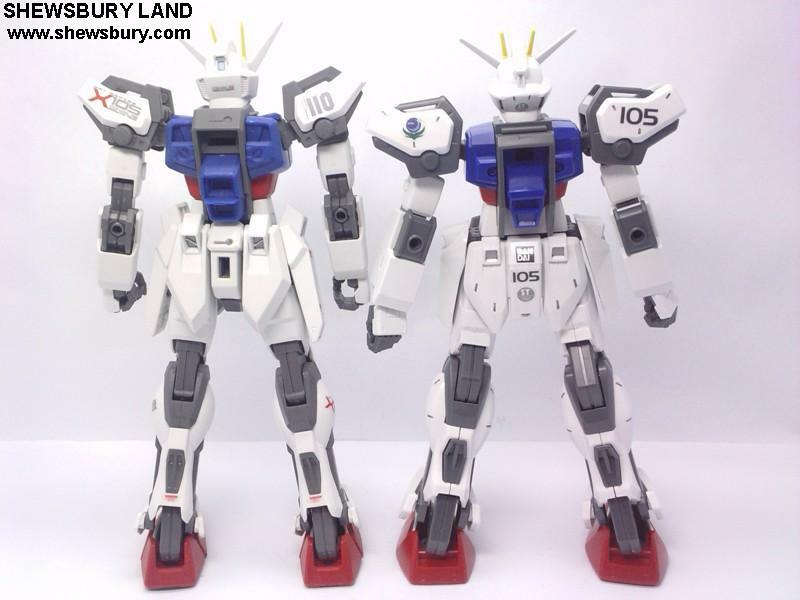 Under the Strike row now is the "Katoki models" - Crossbone, Unicorn, Sinanju and Shin Musha. 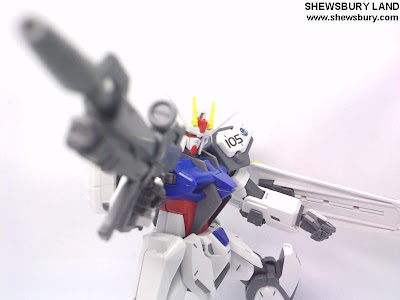 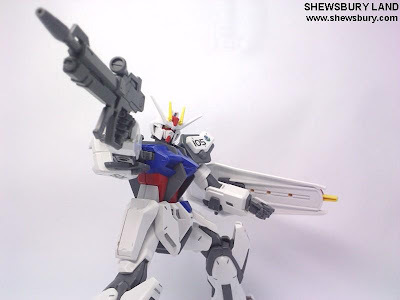 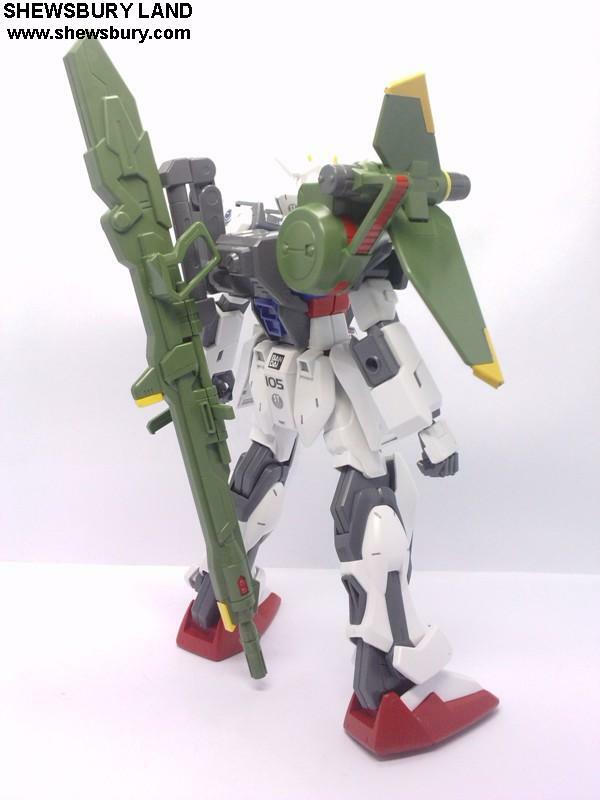 There are 3 different variation provided in the 1/100 HG namely Aile Strike, Sword Strike and Launcher Strike. 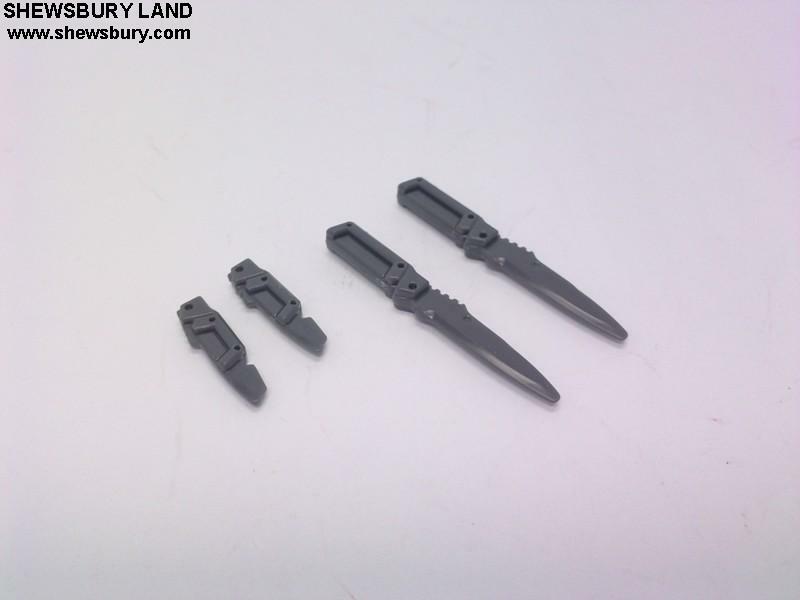 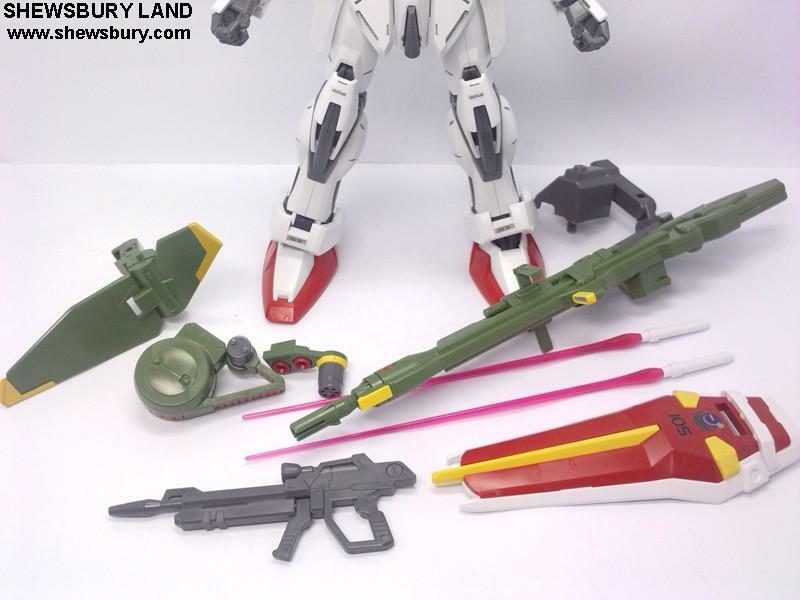 Though this Launcher Strike might be the least popular of them 3 but surely this kit offer great value for money as you will also get the beam saber. 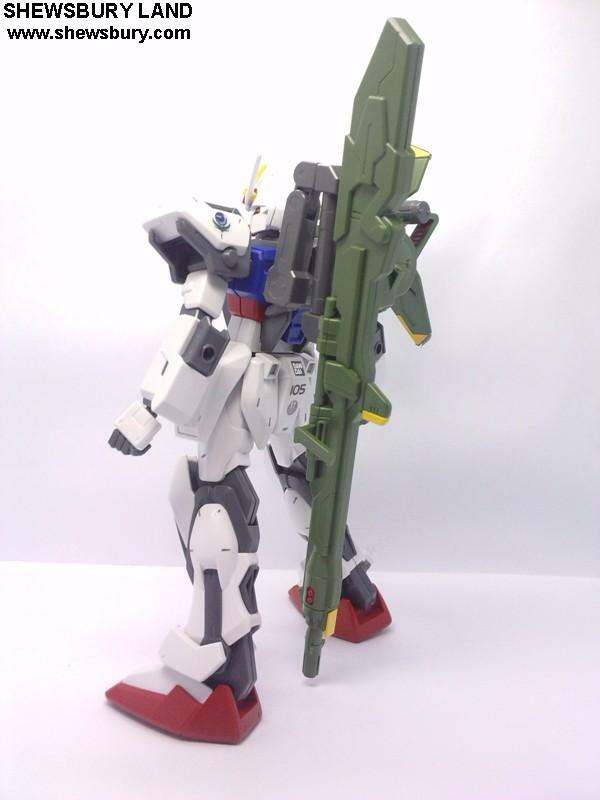 Mike, yeah... 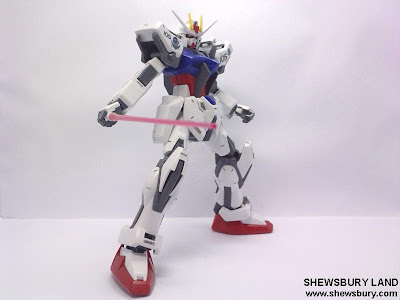 I have almost all of Strike Gundam variation in Shewsbury Land... 6 Strike Gundam plus another GFFN Aile Strike Gundam will come soon (that make it 2 now for GFFN) from HLJ... only Strike Rouge and 1/60 PG Strike Gundam that is missing now... As for Legend Gundam, I plan to just get the GFF/Cosmic Region coz it comes with the top body part of Providence Gundam. 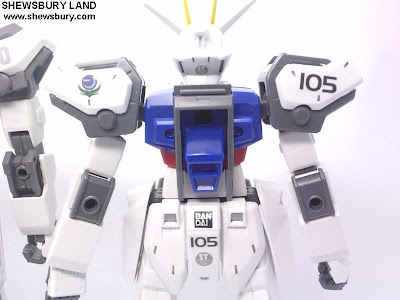 But What about the 1/20 Kira Yamato Figure in this kit?